September 7, 2018 11:31 am. Assistant trainer Kate Grimwade has renewed ties with Hartnell, one of Godolphin’s Australian stars. Four years after crossing paths with Hartnell, Kate Grimwade continues to be impressed with the Group One winner in her new Australian role. Grimwade was recently appointed trainer James Cummings’ assistant trainer to oversee Godolphin Melbourne base, Carbine Lodge. 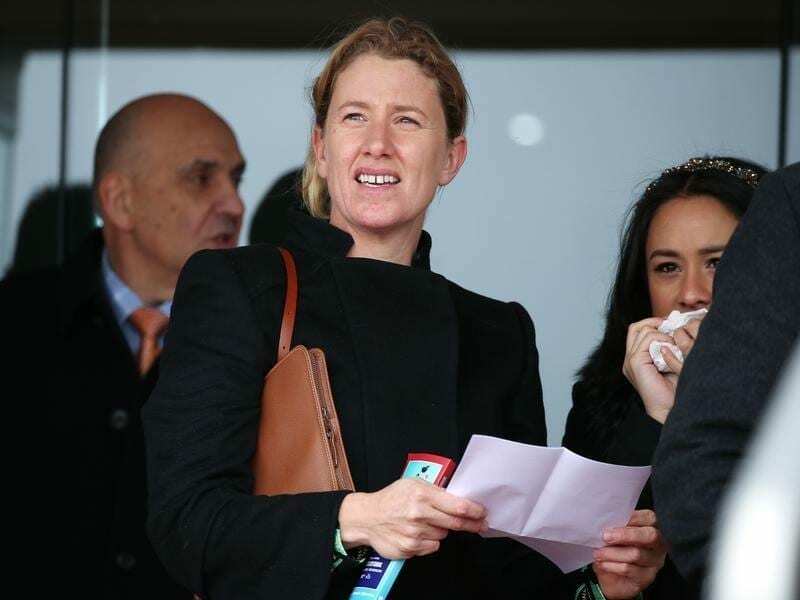 She previously held the role as Godolphin’s European pre-training manager at Newmarket in England and it was there she first crossed paths with Hartnell in 2014 in the months before the horse was imported to Australia. Hartnell won five races in the UK, including the Queen’s Vase at Royal Ascot, when trained by Mark Johnston. “Hartnell and It’s Somewhat actually came in on the same day from Mark Johnston’s and stayed with us for a couple of months and just had an easy time,” Grimwade said. “We just cantered them daily and kept them ticking over and he was turned out every day in our paddocks. Grimwade says Hartnell hasn’t changed much since those days and says probably the most striking thing about the eight-year-old is that it is still like looking at a young horse. “He doesn’t look like an old horse. He’s got that youthfulness about him. It’s amazing,” she said. Hartnell has won three Group One races since arriving in Australia, the first in the autumn of 2015 while the most recent was in C F Orr Stakes this year. On Saturday at Moonee Valley, Hartnell could add to his feature wins in the Group Two Dato Tan Chin Nam Stakes (1600m). After being narrowly beaten in the weight-for-age P B Lawrence Stakes first-up last month, Hartnell is challenging the Darren Weir-trained Night’s Watch for favouritism.